The 2019 Coachmen Mirada 35BH Class A motorhome features stainless steel appliance package, visionary hide-a-bed sofa with seat belts, U-shaped dinette in slide, queen size walk around bed with a true master bath, outdoor entertainment center with 32″ HD TV with DVD, solid surface counter tops, reclining/swivel pilot seats with pedestal table, power drop down bunk above cab, bunk beds w/TV’s & windows, 3 burner cook top with oven, convection microwave, double door refrigerator, half bath, V10 Ford Try-valve engine, 5.5 Onan Generator, 5,000-lb. 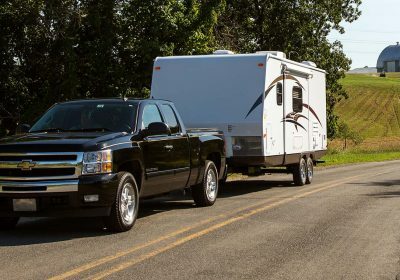 Towing Hitch w/7-way plug, 55-amp, 110/12-volt power converter, 15,000 BTU A/C w/ Heat Pump Front, Diamond shield paint protection and Travel east roadside assistance. For additional information on this Class A 35BH please contact us at 1-800-267-8348 or come down and see the 2019 Coachmen Mirada for yourself at our Balzac lot just north of Calgary. For all after hours sales inquiries please call or text us at 403-710-8314, email sales247@bucarsrv.com or during business hours call or text 403-207-1666.